Poetry Atlanta Press is excited to reissue Collin Kelley's critically-acclaimed debut collection. 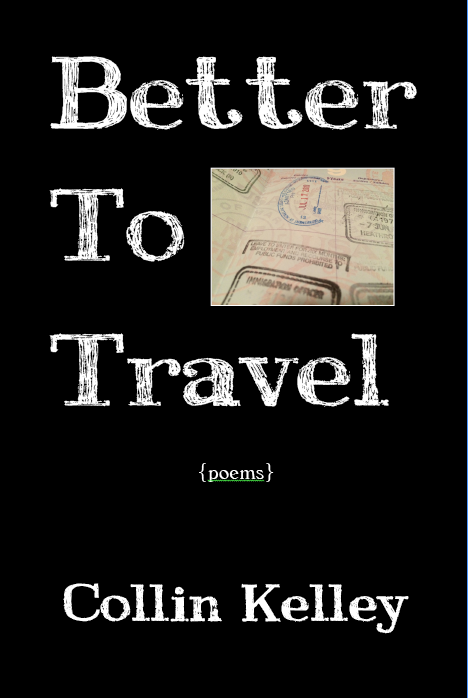 Travel becomes the antidote for a disintegrating love affair and these poems take the reader deep into Kelley's wanderlust at the turn of the millennium. From the rise of the Internet and the death of Princess Diana to the First Congo War and the tragedy of September 11, Kelley's personal journey from America to Europe intersects with history-making events and pop culture. Four poets, friends and colleagues gave themselves an extraordinary, year-long writing assignment. This collection is the results. 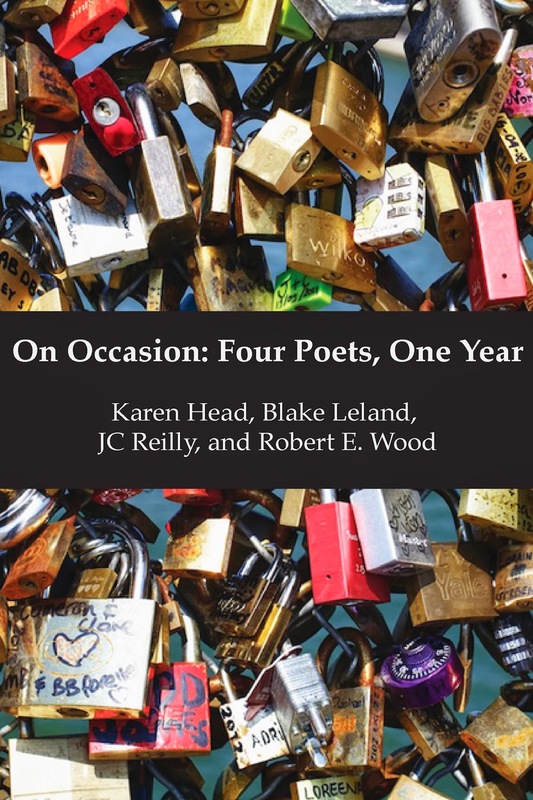 Featuring poems by Karen Head, Blake Leland, JC Reilly, Robert E. Wood with an introduction by Collin Kelley. Watch for reading and signing events soon! 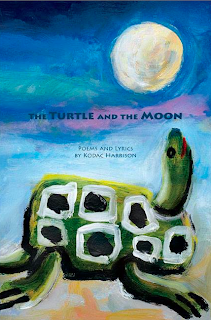 Poetry Atlanta Press proudly announces the publication of Kodac Harrison's The Turtle and The Moon: Poems and Lyrics. This 115-page, paperback retrospective features nearly 40 years worth of poems and song, as well as color plates of Kodac's paintings. 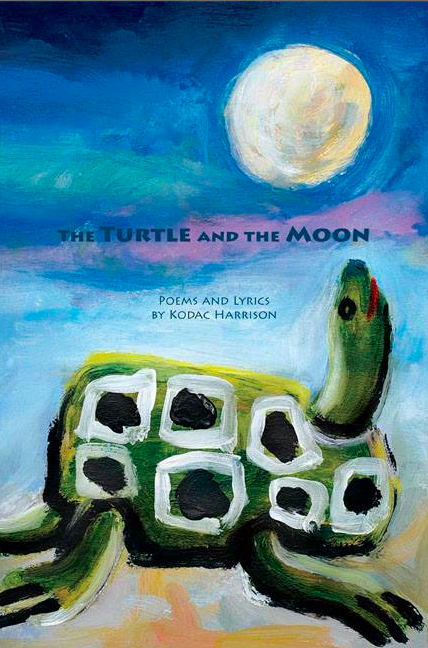 Kodac Harrison's poems, music and, more recently, his paintings, are a joy and matched only by his generous support of all of the arts in Atlanta, in Georgia, in the USA and all over the world. He's a first-rate artist and, if possible, an even better man. - Thomas Lux, Bourne Chair of Poetry at Georgia Tech. 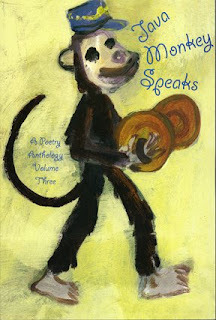 Poetry Atlanta Press announces the publication of Java Monkey Speaks: A Poetry Anthology, Vol. 4 edited by Kodac Harrison and Collin Kelley. 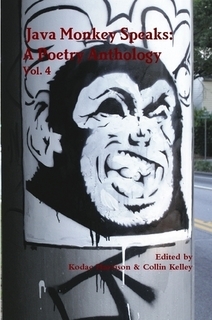 The anthology is filled with both local, national and internationally known poets who have featured at the Java Monkey Speaks open mic/reading series held every Sunday night in Decatur. The series, held at Java Monkey Coffee House, recently celebrated its 10th anniversary. This edition features poetry by Yolo Akili, Lynn Alexander, Amena Brown, Dr. William J. Carpenter, Chiara, Franny Choi, Gary Coseri, Sylvia Cross, Theresa Davis, Travis Wayne Denton, Rupert Fike, Darnell Fine, Fernando Fortin, Daryl A. Funn, Lori Gaurisco, Kodac Harrison, Karen Head, Courtney D. Hester, Robert Perry Ivey, Chas Jackson, F. Geoffrey Johnson, Seaborn Jones, Collin Kelley, Hillary Kobernick, Ivy Le, Marques Linly, Alice Lovelace, Ryk McIntyre, Marissa S. McNamara, Ray McNiece, Agnes Meadows, Stephen Micko, Opal Moore, Jason Myers, Meadow Overstreet, Bryan Pattillo, JC Reilly, Bethsheba A. Rem, Elaine Roberts, Louise Runyon, Ezra Stead, Bill Taft, Brent Taylor, Alita-Brielle Terry, Natasha Trethewey, Dan Veach, Megan Volpert and Karen Wurl. 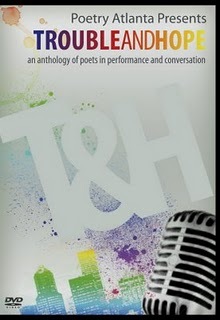 Poetry Atlanta Presents... Trouble and Hope, a DVD anthology of poets in performance and conversation. This film has been more than two years in the making and features some of Atlanta's finest poets and spoken word artists. Performers include: Amena Brown, Mr. Boom, Chris Chandler, Theresa Davis, Travis Denton, Mike Dockins, Rupert Fike, Karen G., Jon Goode, Beth Gylys, Lady Hardin, Kodac Harrison, Karen Head, Collin Kelley, BasiKnowledge, Alice Lovelace, Opal Moore, Bryan Pattillo, Randy Prunty, Tania Rochelle, Tavares Stephens, Sharan Strange, Natasha Trethewey, Dan Veach, Megan Volpert, Karen Wurl, Gypsee Yo and a special tribute to the late Shannon Leigh. Filmed at locations around Atlanta, including Java Monkey Coffee House, Composition Gallery and the Decatur Book Festival, this special DVD is now available for purchase for $15 (plus $2 shipping and handling). Celebrating seven years of the weekly Java Monkey Speaks open mic in Decatur, Georgia, this is the third volume in the multi-award winning anthology series with poets from all over the world who have featured at JMS. This edition's cover is by noted poet and artist Gary Goodman. Featured poets include: Lynn Alexander, John Amen, Gypsee-Yo (Jonida Beqo), Amena Brown, Melisa Cahnmann-Taylor, Chris Chandler, Katie Chaple, Sylvia Cross, Theresa Davis, Travis Denton, Beth Ann Fennelly, Rupert Fike, Anne Fisher-Wirth, Gary Goodman, Lori Guarisco, Beth Gylys, Col. Bruce Hampton, Lady Hardin, Kodac Harrison, Warren Hawk, Karen Head, Courtney Hester, James Iredell, Seaborn Jones, Collin Kelley, Mary Chi-Whi Kim, Shannon Leigh, Alice Lovelace, Thomas Lux, Sarah Maclay, Timothy Mason, Ami Mattison, Ellyn Maybe, Stefen Micko, Ginger Murchison, Bryan Pattillo, Chelsea Rathburn, Ratsack, Cola Rum, Queen Sheba, Jackie Sheeler, Patricia Smith, Tavares Stephens, Sharan Strange, Benjamin Solomon, Alan Sugar, Natasha Trethewey, Mark Turcotte, Megan A. Volopert, Tom Weatherly, Cecilia Woloch and Karen Wurl. Purchase with PayPal below or email poetryatlanta@hotmail.com to get information for check payments. 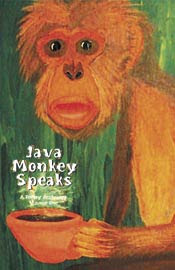 Celebrating five years of the weekly Java Monkey Speaks open mic in Decatur, Georgia, this anthology features poets from all over the world who have featured at JMS. This edition's design is by noted artist, Charles Jupiter Hamilton. Contains Patricia Smith's Pushcart Prize-winning poem, The Way Pilots Walk! Featured poets include: Bill Abbott, Lisa Allender, John Amen, Deborah Bailey, BasiKnowledge, Kemi Bennings, Jonida Beqo, Stephen Bluestone, Chris Chandler, Cola Rum, Jerry Cullum, Melisa Cahnmann, Sylvia Cross, Gary Corseri, Theresa Davis, Nathan Deen, Travis Denton, Mike Dockins, Rupert Fike, Anne Fisher-Wirth, Cherryl Floyd-Miller, Claude Francis, Richard Garcia, Ethan Gilsdorf, Jon Goode, Barry Graham, Beth Gylys, Jessica Hand, Lady Hardin, Kodac Harrison, M. Ayodele Heath, Chezon Jackson, Tiffany Haya Jones, Collin Kelley, Kristi Kontak, Alice Lovelace, Thomas Lux, Ray McNiece, Ginger Murchison, Michael O'McCarthy, Bryan Pattillo, Jan Peterson, RenaZance, Claire Robson, Tania Rochelle, Louise Runyon, Malik Salaam, Ronnog Seaberg, Maureen Seaton, Patricia Smith, Tavares Stephens, Sharan Strange, Katherine Williams, Cecilia Woloch, Sholeh Wolope, WaterColors and Karen Wurl. Celebrating the first two years of the weekly Java Monkey Speaks open mic in Decatur, Georgia, this anthology features poets from all over the country who featured at JMS. Featured poets include: Sarah Alana, Lynn Alexander, Daneaa Badio, Amy Baez, Mohit Basin, Stephen Bluestone, Amy Burton, Chris Chandler, Dennis Coburn, Gary Corseri, Sylvia Cross, Jerry Cullum, Nathan Deen, Chuck deVarennes, Samia Ellis, Julia Ewen, Cherryl Floyd-Miller, Elizabeth Fogle, Jon Goode, Lady Hardin, Kodac Harrison, M. Ayodele Heath, Collin Kelley, Jimmy Lo, Ray McNiece, Michael O'McCarthy, Sheila O'Shea, David Oates, Bryan Pattillo, Dawn Pendergast, Phillip Raines, Victorio Reyes, Louise Runyon, David Schuster, Megan Sexton, Jolie Simmon, Toni Sunseri, Robin G. White, Karen Wurl, Lane Young and Jan Peterson.